BYOD is an initiative that more and more individual schools and boards are considering to run within schools. While it promises many benefits for students, teachers and school boards, it is an initiative that is not without issues and ethical considerations that should be thoughtfully considered by teachers and boards alike. Equity and access to personal mobile devices are among the top issues that educators, administrators, parents, and boards are all attempting to parse out. Many of us are learning as we go. I remember a new lesson I was teaching that I started with by using a simple diagnostic assessment tool on my laptop, displayed to the SmartBoard. Motivated by the technology itself, some students were motivated to go home and apply their learning to the technology in the same formats we used in class. Some students felt very motivated to come to school with their own devices with the hopes that they could use them in class. Then came the evidence of a digital divide. With only one set of laptops for the school, I frequently did not have devices on hand for my students. Some students had devices that not have Wifi, and many still did not have their own device. It became apparent that only students who had their own devices had regular opportunities to integrate Technology into their learning processes. We eventually came to an impasse. To ensure equity of access within the classroom, I felt I had to start saying no to students about using their own technologies. This caused me to stop and reflect upon the future implications and consequences of this inequity. What would the future look like for students who would spend their entire school year, or career, without their own device, versus those who could use them each and every day? This prompted me to conduct my own research of sorts. For Parents in my School Community, I created a Survey through Google Docs and spoke with other parents one-on-one to learn about what their thoughts were surrounding BYOD. One of the key concerns appeared to be the issue of Equity. Parents voiced concerns including keeping kids safe when using Social Media, and respecting the privacy of students while using technology at school, and the issue of Equity. As I continued my research, the Ontario Ministry of Education is without an official BYOD policy within its Public Education Framework. However, the Shifting Landscape Final Report (2012) conducted by the Ministry of Education found that there is increasing interest in classroom focussed, cloud-based, digital citizenship and literacy, using personal devices, and equitable access versus scheduled access of devices within schools. The Peel District School Board is currently striving to incorporate technology into teaching and learning environments with Board-wide policies and procedures to promote BYOD in each school. To address issues of equity, they have created an opportunity to offer an affordable option for more families that include tablets that can be purchased for $55.00. In my readings I also found that in Finland all students receive a free education with free school meals, resources, materials, transportation and support services. I could not find evidence of BYOD programs in Finland, however. BYOD initiatives promise cost-effectiveness and opportunities to integrate technology with the curriculum. However, we still need to think critically about the initiative and strive to embed it within a context that supports equity and accessibility for students. Otherwise, we risk promoting and normalizing privilege in schools. It may seem insignificant that more than half of the students in that Grade 3 Science class did not have their own devices. It may have been fine for 1 class, a whole unit, or even a whole term. However, if the same students without devices continue to learn in school without equitable access to technology, this has the potential to lead to a vast digital divide between the haves and have-nots. BYOD promotes educational leverage for students to be able to navigate an ever increasing wireless world. Students also have access to personalized learning opportunities in the areas of digital citizenship and digital literacy. However, as Educators in a Public School system, it is necessary to ensure we are levelling the playing field with equity and access when it comes to the diverse learning needs of students. The financial ethics involved within Public Education are complex and asking the question of whether each student should have access to the same learning apps and materials prompts the question as to what the goals are for Public Education. Despite the benefits of BYOD programs, it still promotes Academic disparity and inequality between the ‘haves’ and ‘have-nots’. Unfair advantages will lead to an increase in the digital divide and to uneven competencies in digital citizenship and literacy. This will undoubtedly affect society in the future. Disparity and the Widening Digital Divide Among the Haves and Have-Nots. As technology continues to evolve and permeate nearly every aspect of life, schools are looking to cost efficient ways to meet the increasing technology demands of the digital world. Educators are also increasingly aware of the importance of helping students learn about Digital literacies. BYOD is certainly a cost-effective way to increase technology and technology usage within schools. In the digital world of today, technology has never been so widespread and accessible. It is easy to get on board with the promises that a BYOD initiative will automatically be a win-win situation for all stakeholders. It is an initiative that promises Money saving initiatives for school boards, and opportunities for families that already have the money. These factors inadvertently place pressure on those families who do not have the funds for devices, apps, upgrades, repairs, Wifi, and and possible replacements. Research that point toward results that students living in poverty achieve lower scores on standardized tests, increased drop-out rates, etc. Often an ‘invisible’ problem wrought with stereotypes of what poverty looks like. Run the risk of not realising that many middle class families are also at risk of economic insecurity. This certainly translates into the classrooms and learning environments. Schools play large roles in coping effectively with poverty. Education can play an important role in improving conditions for students in poverty. Also, programs including implementing programs such as breakfast programs, food baskets are initiatives that schools run to help make sure students have enough to eat. There are many stereotypes that surround what Poverty should look like. Yet many families experience economic disadvantage and thus experience great stress and pressure with the rising costs of schooling and Education. 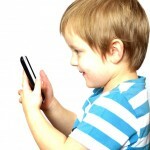 BYOD initiatives place pressure on Parents to foot the bill for technological devices. BYOD affects families, placing stress on tight incomes, often to provide each sibling with devices that have wireless internet capabilities and apps. Further, what if the apps, browsers and platforms used at home are not the ones supported in schools? Further costs can include repairs, regular updates, virus protection, crashing systems, and outdated technologies, and theft. BYOD is not merely students bringing their devices to school. BYOD is a game-changer in education that requires us to re-think what schools need to look like to accommodate Educational technology and learning opportunities in the 21st Century. BYOD warrants changes in the ecology and context of the classroom to avoid an increasing digital divide between the ‘haves’ and ‘have-nots’. Critical evaluation of BYOD initiatives can help us to understand how the practice can be exclusionary based on an uneven distribution of devices. Distribution of technology across the province is uneven, with technologies often differing across classrooms, schools, grades, boards, makes, models, operating systems, and usage rates. Further economic and academic disparity exists between different ethnicities, socio-economic status groupings, and gender.